public land | Park View, D.C. The ANC 1A Task Force focused on the long-term use of the Bruce Monroe site is seeking public participation through a survey that is available online and will be distributed in print as well. (The former Bruce Monroe site (shaded) showing area zoned commercial (east of blue line) and residential (west of blue line)). For the past five years the Bruce Monroe parcel located at Georgia and Irving has been a temporary park. Despite modest improvements, the site continues to under-serve the community. Early development proposals in October 2010 in response to the city’s call for proposals went no where, and the property has mostly been a nearly three acre open space since that time with the exception of a fairly successful community garden located in the southwest corner of the property. There have been many ideas over the years on what the future of the parcel could hold, including an idea I floated in November 2013 to use part of the land to help get the Park Morton redevelopment underway. In an attempt to find a long-term solution to this parcel, ANC 1A passed a resolution to form a task force in February 2014, to begin working with community members and develop a better sense of where the community is on this issue. The result is a survey that is available online and will be distributed in print as well. Below is the full announcement from the area listservs. Please take a moment and send in your thoughts on the parcel. 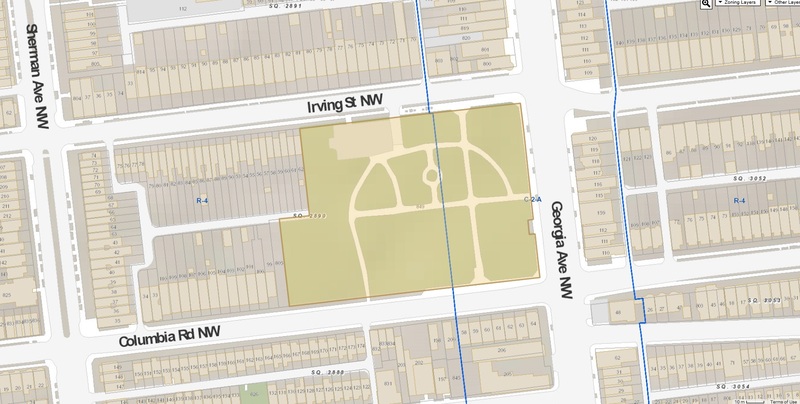 The 1A Advisory Neighborhood Commission’s Bruce Monroe Task Force is soliciting community input to identify the desirable long-term use(s) for the former Bruce Monroe School site located at 3000 Georgia Ave NW Washington, DC 20010 (between Irving St and Columbia Rd). The Government of the District of Columbia currently owns this parcel. This site was formally designated to establish the Bruce Monroe Elementary School, which was later demolished in 2009. Currently, the site is designated for temporary park use. We need your input to determine the potential permanent use(s) for this site.The survey link can be found here: https://www.surveymonkey.com/r/BruceMonroe This survey will take about 5 minutes to complete. The deadline to submit your response is September 9, 2015. Feel free to contact Commissioner Rashida Brown if you have any questions at 1a10(at)anc.dc.gov or (202) 903-4561.